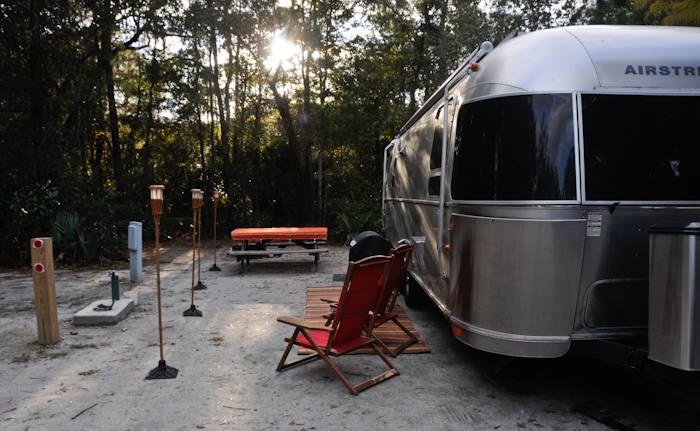 Today we spent the entire day inside the Airstream working. It was one of those days. 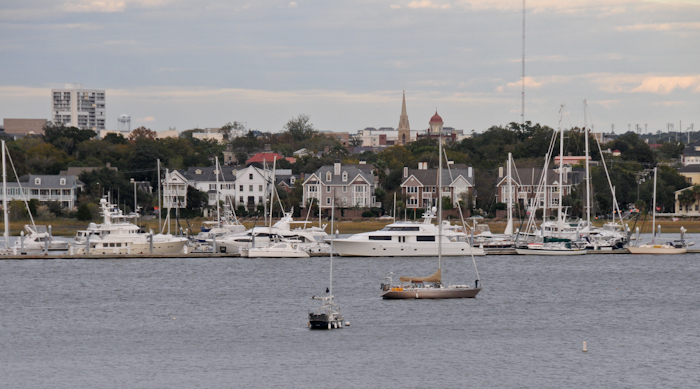 We headed into Charleston this evening and met up with Kyle for dinner at McCrady's Restaurant. We had an amazing meal and as usual, fun and interesting conversation with Kyle. The chef at McCrady's (Sean Brock) received the 2010 James Beard Best Chef Southeast award and focuses on local, sustainable ingredients (and runs a farm specifically for the restaurant I think). 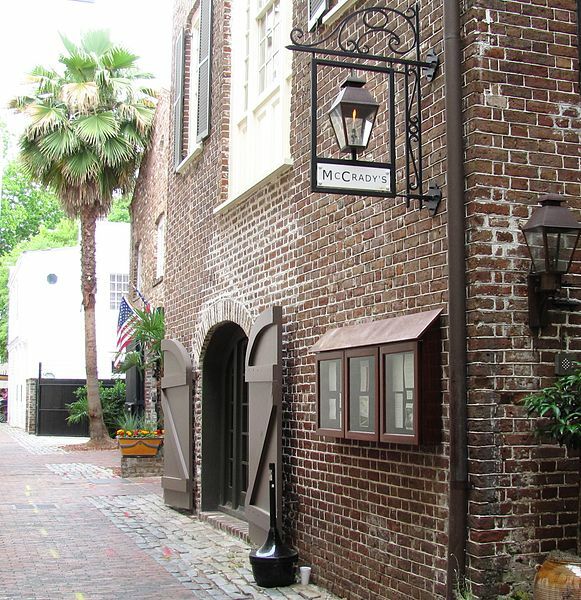 McCrady's Tavern and Long Room is a historic tavern complex located in downtown Charleston, South Carolina. Constructed in several phases in the second half of the 18th century, the tavern was a hub of social life in Charleston in the years following the American Revolution. The tavern's Long Room, completed in 1788, was used for theatrical performances and banquets for the city's elite, and is the last of its kind in Charleston. McCrady's was added to the National Register of Historic Places in 1982 for its architectural and political significance. Edward McCrady (d. 1801), a Charleston barber and Revolutionary War veteran, purchased the tavern in 1778, and over the next decade expanded the tavern and constructed the Long Room. In 1791, the Society of the Cincinnati hosted a banquet in the Long Room for President George Washington, who was visiting the city. The building continued to function as a tavern and banquet hall throughout much of the first half of the 19th century, and later served as a warehouse and print shop. The building was restored to its late-18th century appearance in the 1980s, and currently houses McCrady's Restaurant. Anyway, highly recommended. Food was up there with some of the top restaurants we've been to, and the service was just perfect. 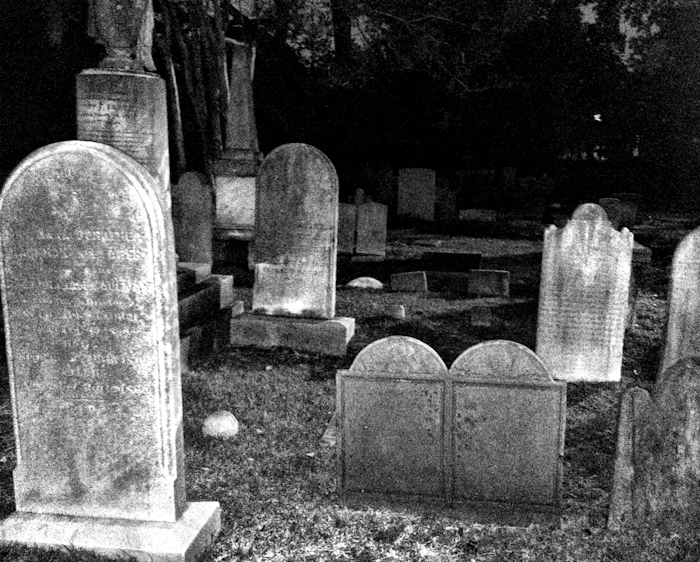 We parked over near St. Philip's Church, and on the way to dinner I took a few more spooky graveyard photos for you. Tomorrow we've got a history/homes walking tour scheduled in the afternoon (so we can learn some stuff), and then we'll meet up with Kyle again for dinner. 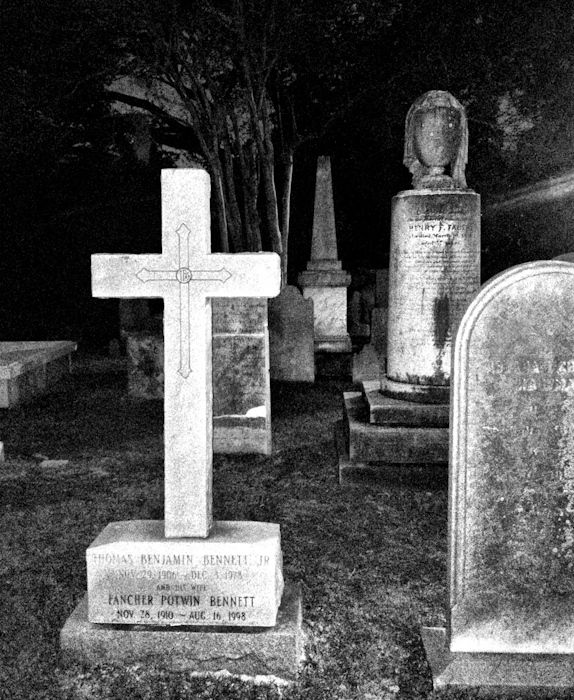 Wednesday (Halloween) we thought it seemed appropriate to schedule another ghost tour. My iPhone will be fully charged, and I'm going to have the backup battery with me this time.